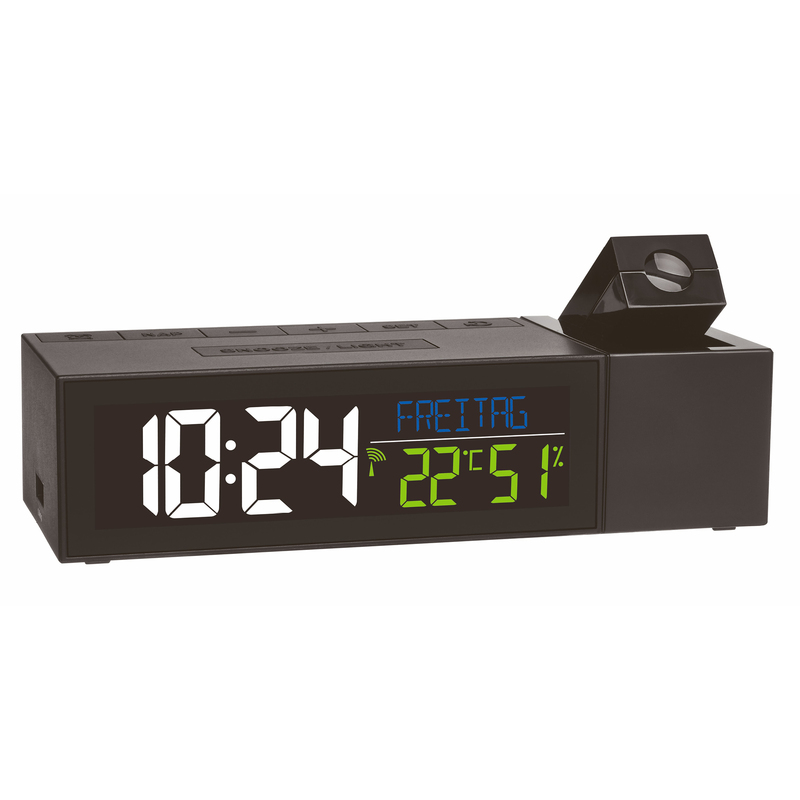 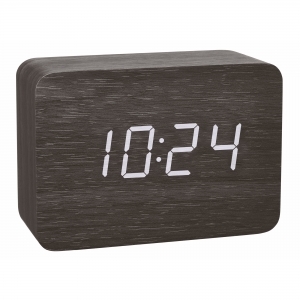 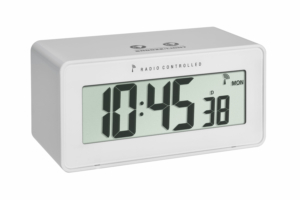 With the radio-controlled projection alarm clock SHOW, you’ll never have to search for the right button again at night, as the radio-controlled clock projects the current time into your bedroom wall or ceiling. 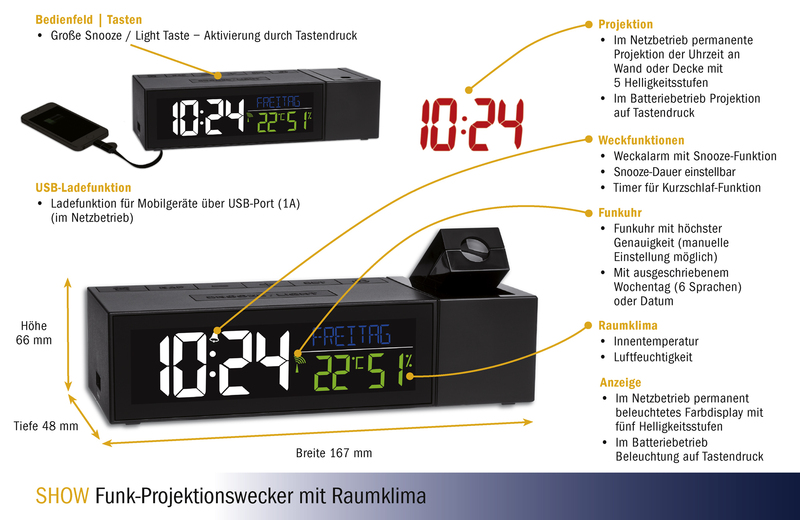 The colour display shows not only the current time, but also the date or the weekday in full letters – which you can choose between 6 languages. 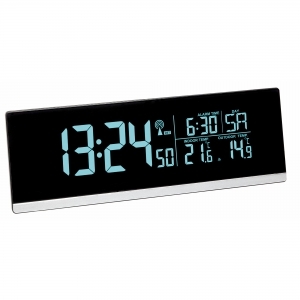 The brightness of the display can be regulated in 5 levels. 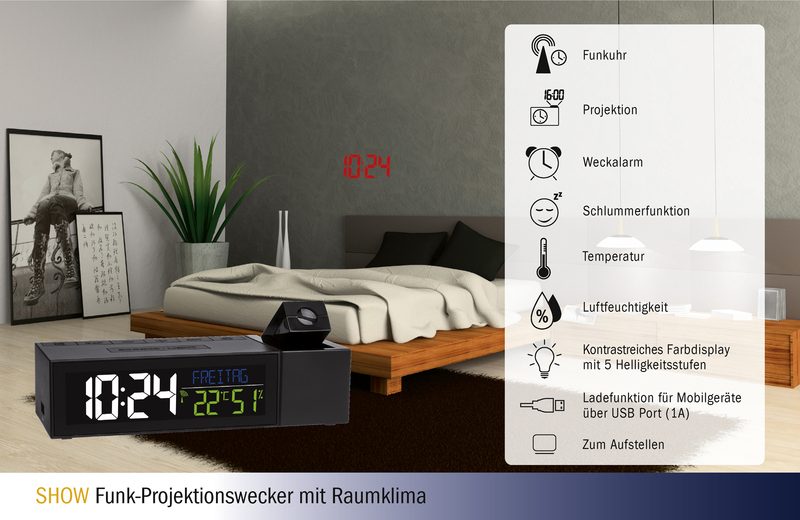 In addition, the indoor temperature and the humidity are displayed, so that you can actively control the room climate through targeted heating and ventilation. 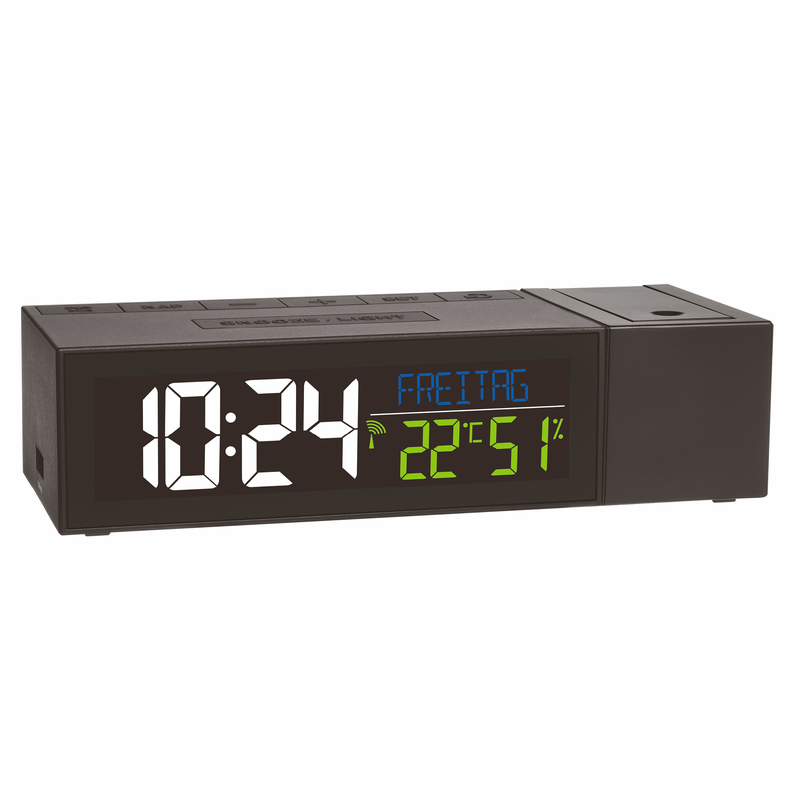 Besides these helpful special features, the device also fulfils all functions of a radio-controlled alarm clock: the alarm wakes you up on time, but thanks to the adjustable-interval snooze feature, you can get extra sleep for a few more minutes. 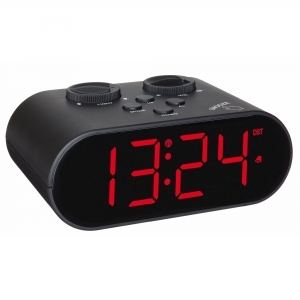 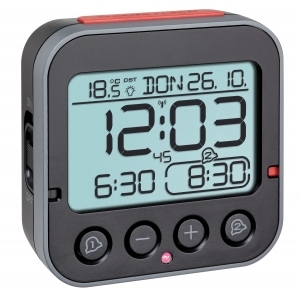 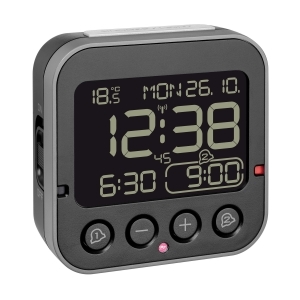 The integrated nap timer function will reliably wake you up again after a short nap. 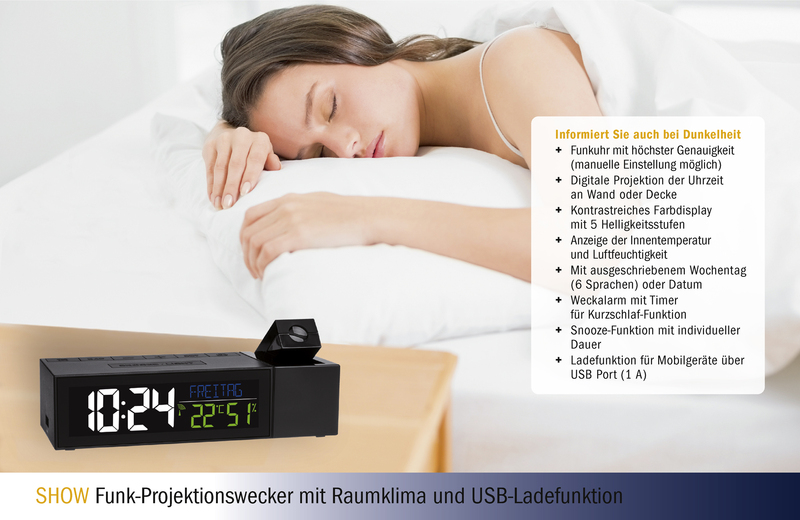 As a special feature here is the built-in charging function for devices with USB port.